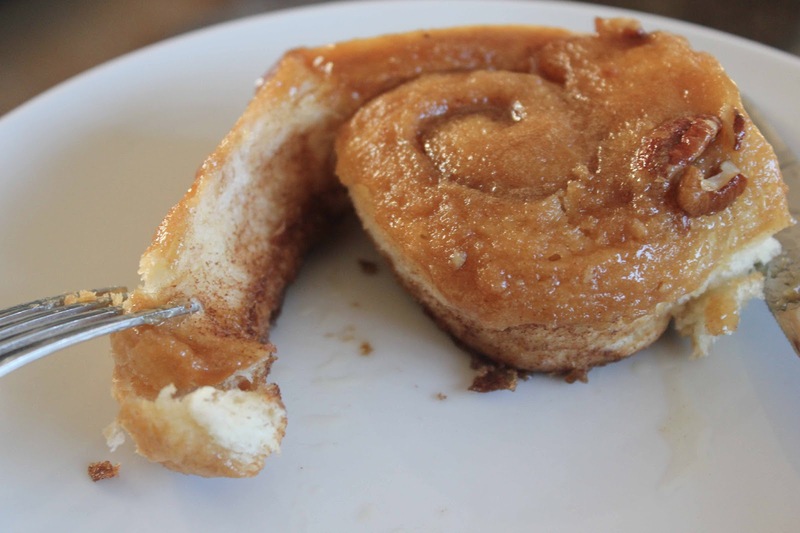 The best cinnamon rolls i've ever tasted are Cinnabons and nothing has come close since. The satisfaction i got from eating those Cinnabons is etched in my mind and i felt that soft, chewy, gooey, warm, yumminess today when i brought mine out of the oven. They were amazing and everything i thought they would be. Butter really is the heart of baking. 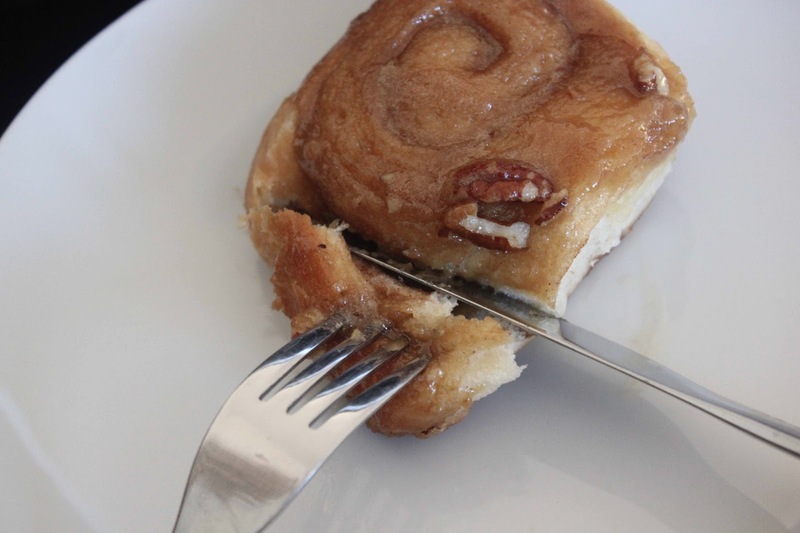 It is what made these cinnamon rolls melt in the mouth. I generally like to make things as healthy as possible but it would be impossible to make these cinnamon rolls as good as they were without all that butter. The dough was left to rise twice. 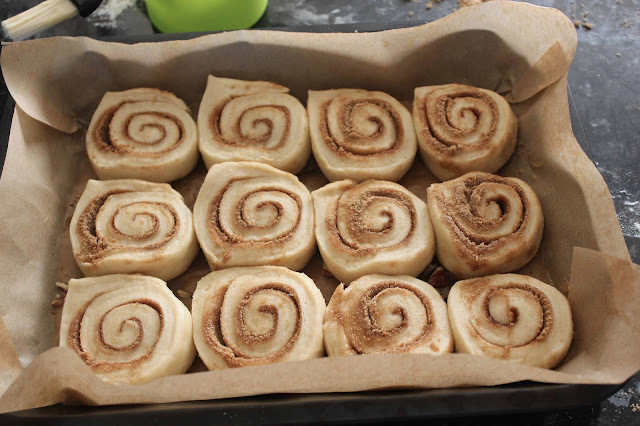 It was rolled out(was like rolling clouds) and sprinkled with brown sugar and cinnamon after the first rise then rolled up, cut into slices and left to rise for the second time, brushed with butter every step of the way. This is that annoying part of the cooking show where the person tries to explain to you how amazing the food tastes, smells and feels but can't do it justice, I'm sorry all i can do it pictures. 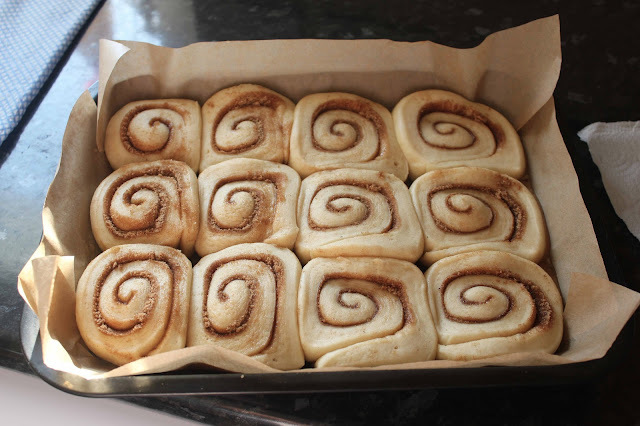 When the rolls rose the second time, they all fit so snug in the baking tin. Hoooooly crap, they look AMAZING!